Hampta Pass Trek is a classic Himalayan Trek and provides a great opportunity for trekkers to meet nature. 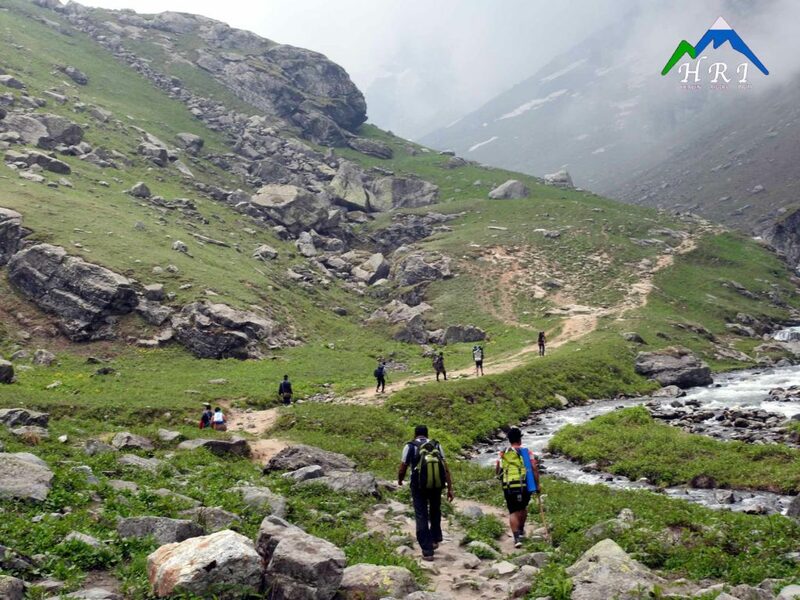 Trek has variations in the trail like you start with forest, then meadows welcomes you, adrenaline rush giving chilled glacial stream crossing, and most important easy access to snow which attracts more nature lovers here. The visit to Chandratal Lake is breathtaking. No other trek like Hampta Pass will offer such views of pristine blue water lake. Whole experience and views changes when you enters Lahaul from Hampta Pass. Heaven Riders India offers you an opportunity to cross Hampta Pass and visit Chandratal lake of Spiti. Hampta Pass Trek starts and ends at most famous Backpackers Town ‘Manali’. Maximum Altitude: 4, 277 meters (14, 035 feet). Trek Distance: 25 km (Approx). Day 0: Night Journey through Volvo from Delhi/Chandigarh to Manali. 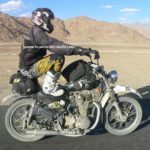 Day 1: Manali to Chika Via Jobra, Prini. Our representative would meet you at Manali Bus Stand (11 am). Proceed for the drive till Jobra via Prini and then trek to Chikka. Stay and dinner at Camps. After Breakfast, proceed for the trek. Hampta Pass Trek is moderate with a gradual ascent and with some adrenaline rush giving river crossings during the course of the day. Enjoy the evening at Campsite with bonfire and light music followed by Dinner. 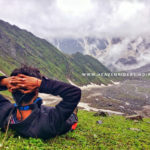 Day 3: Balu Ka Ghara to Seagoru & Crossing Hampta Pass (14,100ft) Trek – 7 km, 8-10 hr. Early breakfast and proceed to trek. The first hour of the trek is gradual ascent then it turns to Steep ascent till the Hampta Pass. One must top up his water bottles from Campsite in the morning because today we can face the water shortage on the trek (depends on snow). From Hampta Pass you’ll get a 360-degree breathtaking views of many famous himalayan peaks. Spent evening at Seagoru Campsite with tea & cookies. Followed by Dinner and Stay in Camps. Day 4: Sheagoru to Chhatru (Trek – 7km, 5hr). Start early in the morning, easy gradual descend till Chhatru campsite. After reaching Chhatru, We go to Chandratal but it depends on weather conditions and the time of arrival at the campsite. Day 5: Chhatru to Chandratal and then to Manali (Drive). You can visit Chandratal only in the summer months. If not, you will have to drive directly to Manali and skip Chandratal altogether (if weather & road condition allows). Otherwise we’ll start early morning drive from Chhatru to Chandratal and after a visit drive back to Manali. It will take about 6-7 hours to reach Manali depending on the condition of the roads & traffic on Rohtang Pass. Book your return tickets from Manali late in the evening to give you enough travel buffer time. Better to Book departure tickets later 9 pm. INR 500 Cash back if Book before 90 Days of departure date. 23 June 2019 – Open. 8 September 2019 – Open. – Accommodation during Trek (4 Nights). – Meals while on trek (Day-1 Dinner to Day-5 Breakfast). – Camping Equipment like Tent, Sleeping Bag, Mattress, Kitchen & Dining equipment etc. – Certified & Expert Trek leader & Support Staff (Guide, Cook, Porter, Mule, Helper). – Transportation as per itinerary (Manali to Jobra, Chhatru to Chandratal to Manali) if weather permits. – Daily Refreshment during Trek. – Pictures & Video of the trek. – Any Service not mentioned in the inclusions. – Any Meal, Snacks during Land Transfer (Transportation). – Any Insurance, Airfare, Train fare, Volvo Fare, hospitalization, Emergency Evacuation, Rescue charges. – Any expenses occurred due to bad weather, road blockage, or any other reason to be borne by Trekker on the spot. – 5% GST as per Govt. Notifications. 1. The Wind & Waterproof Jacket. 2.Fleece-2, Trek Pant -2, Warm lower for night. 3. Warmers/ Thermal-1 pair (Upper & Lower). 4. Woolen Cap, Neck-Warmer, Gloves, and Woolen Socks-2, Cotton Socks-5, Sun Cap, Early-Dry Towel. 5. Poncho/ Rain Suit (Mandatory). 9. Water bottle – 2 (Mandatory). 10. Personal Toilet Kit and Toilet Paper. 11. Snow Goggles, Trekking/ Hiking Pole-2 (Mandatory). 12. Inhalers (if any suffer from asthma). and most important the Adventure Spirit. – Trekker has to carry his/her backpack by own if someone wants a Personal Porter, kindly inform in advance so we can arrange. Porter charges extra. – Booking Amount is Non-Refundable. Manali is the ideal place where you will find an ATM in case you need to withdraw money but HRIadvice you to carry enough cash from your home destination according to your needs. All major Mobile Networks works till Prini. Please inform anxious family members in advance about poor connectivity during the tour. Believe in Safety First. Suitable environment for Solo Woman Travelers/Trekkers. Maximum 15 numbers of group strength that improves quality. Team of Experienced Locals & Certified Mountaineers, and First Aid Responders. 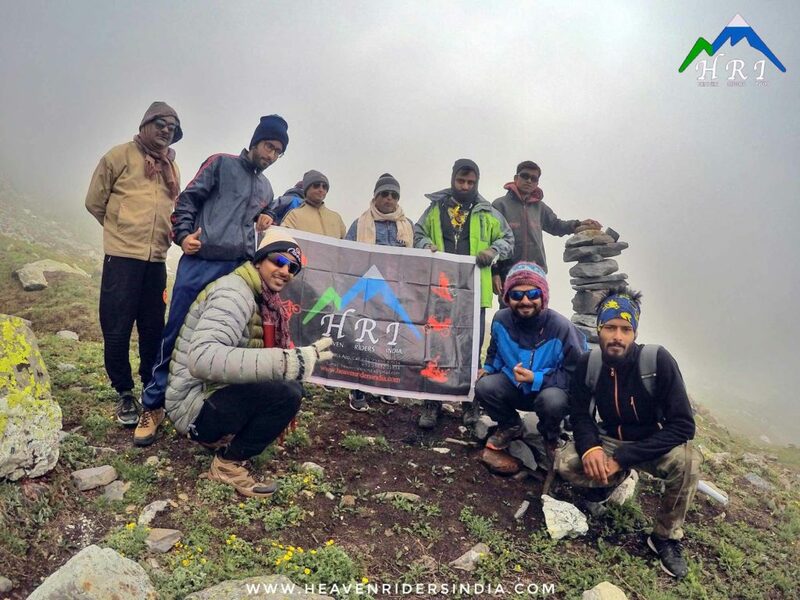 Organizing treks/tours in Himachal Pradesh, Uttrakhand, Ladakh and Spiti. Carefully crafted itinerary to proper acclimatization and Hygienic Food. Main aim to improve Welfare of Local People and Keep Trails clean & green. First Aid Kit & Oxygen with Trek Leader. For more details, kindly feel free to contact us.